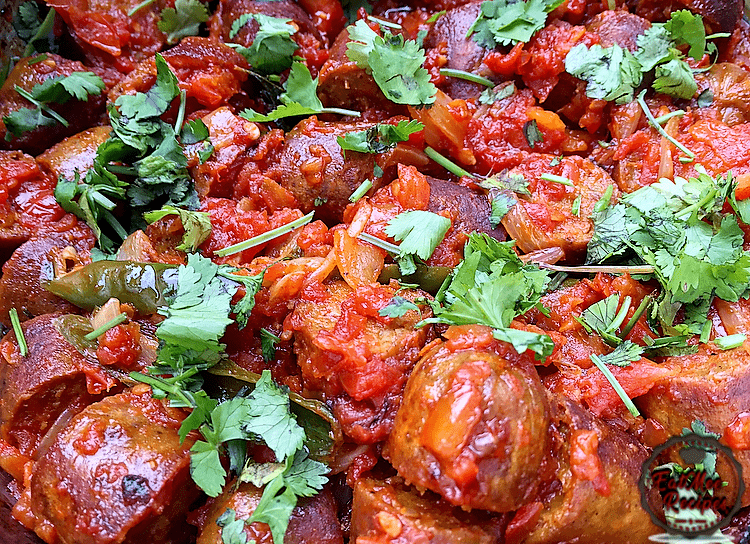 This Soya Sausage Chutney recipe is great for vegetarians as well as for those who have their meat-free days. 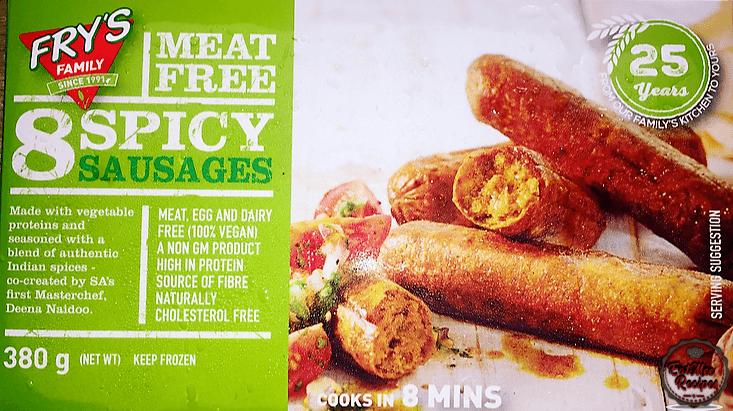 Soya sausages are vegetarian sausages which contain no meat. 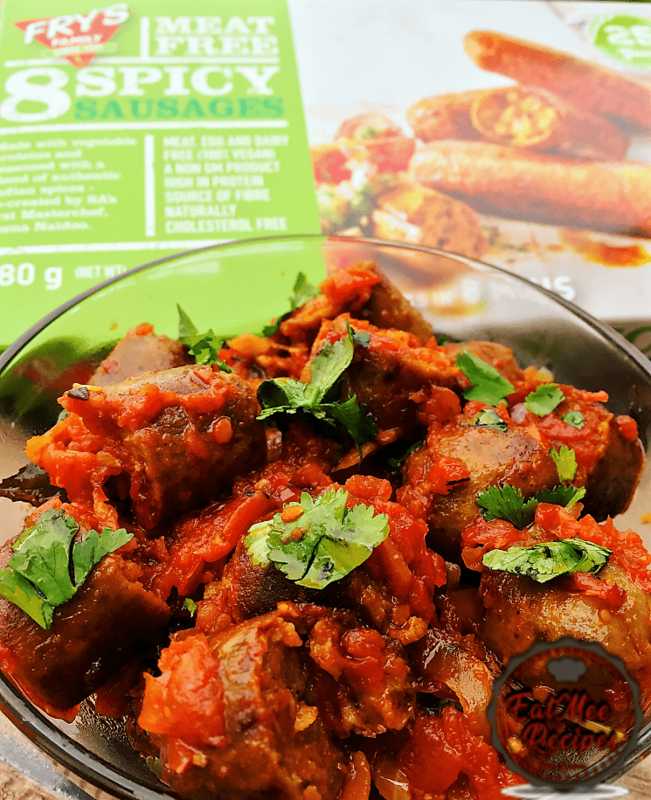 In 1916, soya sausages were invented in Germany. 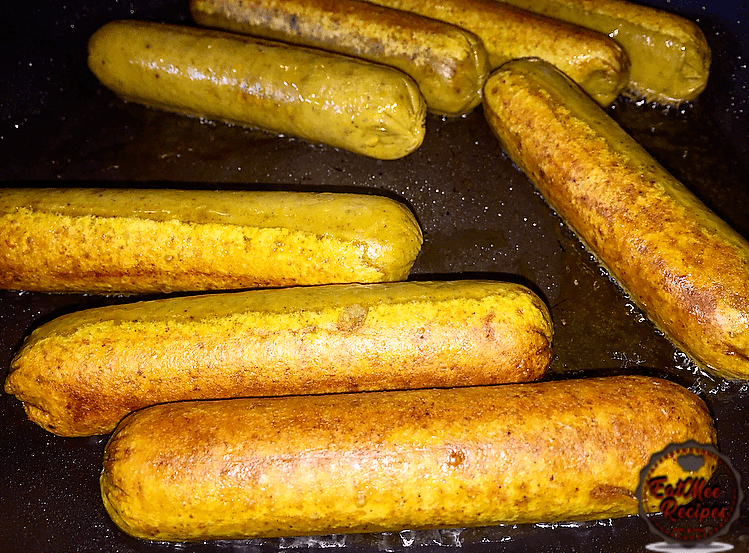 It was known as Kölner Wurst (Cologne Sausage). 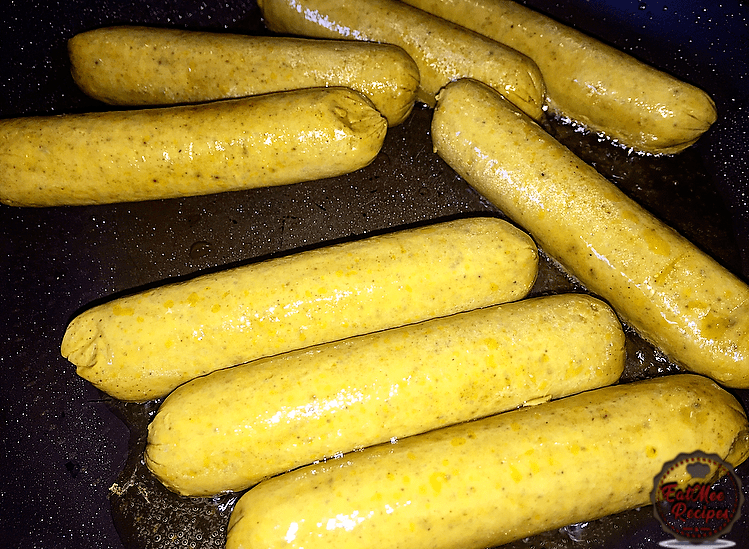 Sausage was first utilized in English in the mid-fifteenth century, spelled “sawsyge”. This word came from Old North French saussiche. 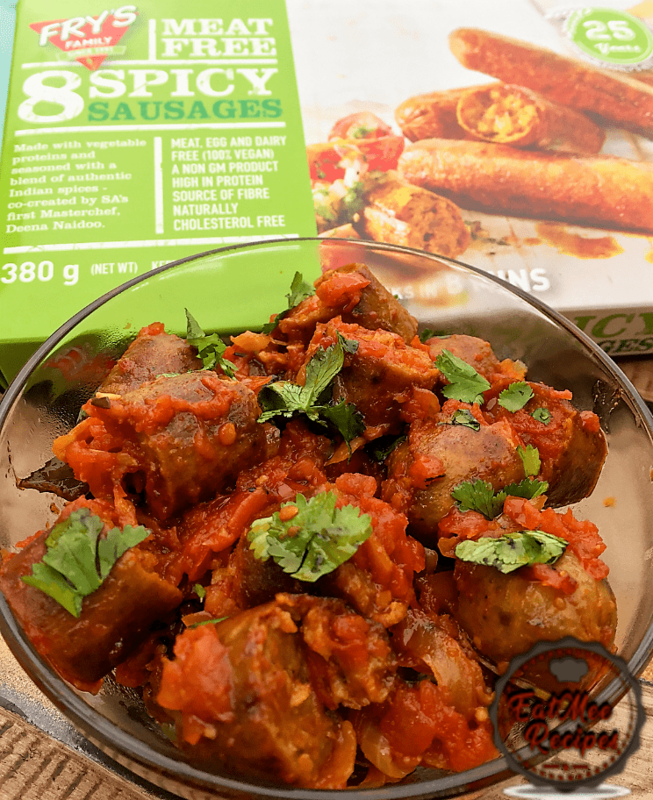 For this recipe I have used Fry’s Spicy Sausages,this vegetarian brand can be found in local supermarkets within South Africa. 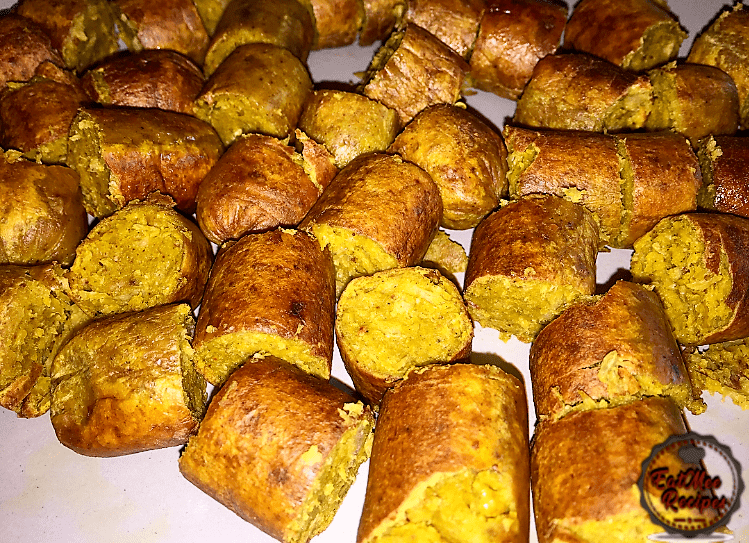 They offer a wide variety of meat-free products & other types of sausages as well, such as the Traditional Sausages & the Braai Style Sausages. 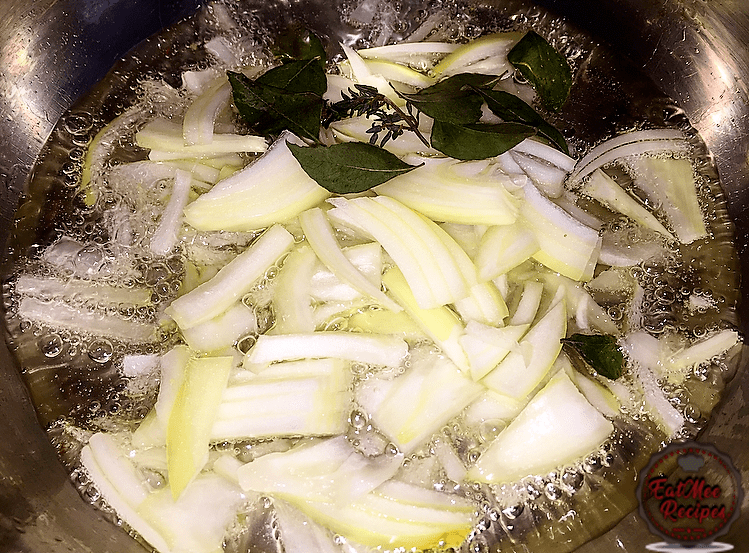 Peel & sliver onion. Set aside. 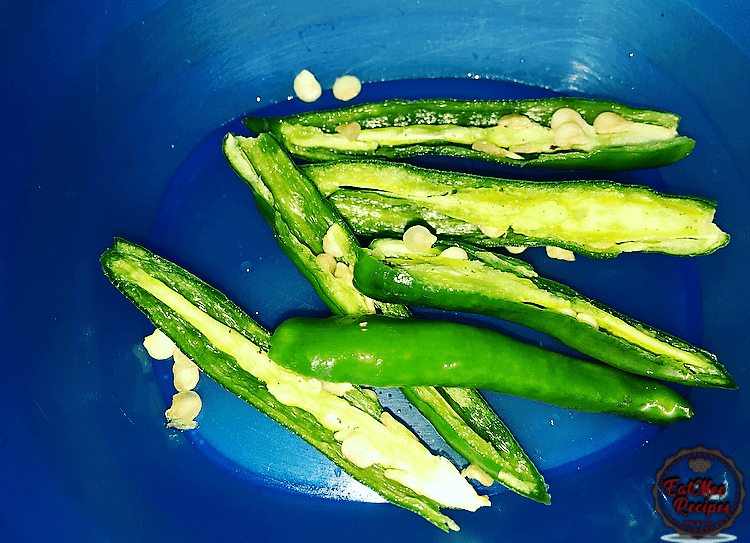 Rinse & slit green chillies. Set aside. Grate or blend the tomatoes. 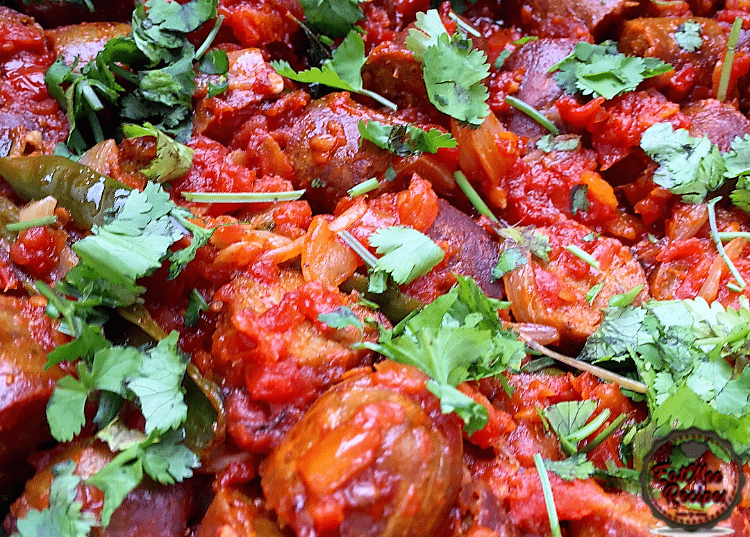 If choosing to grate them – rinse tomatoes, cut off the ends of each tomato & then slice each one into halves. Place the flat & fleshy side of the tomato onto the grater, & grate the flesh of the tomatoes into a bowl. Discard of the tomato skins. 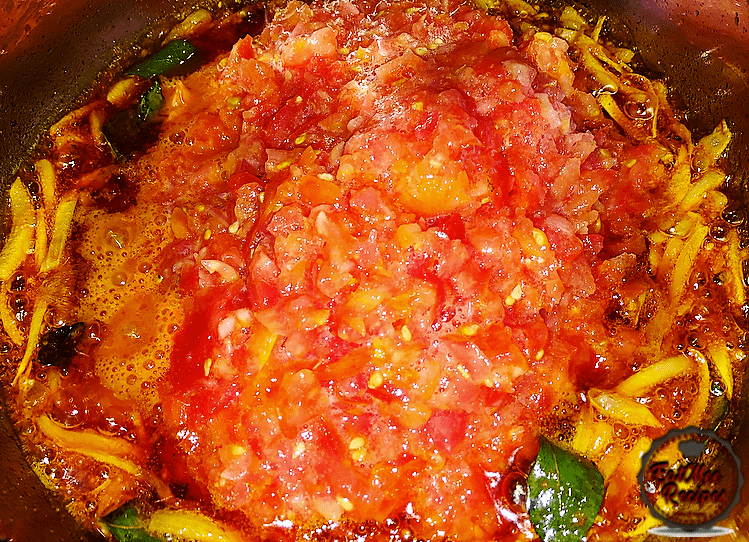 If choosing the blending option – rinse tomatoes, cut off the ends of each tomato & then slice each one into quarters. 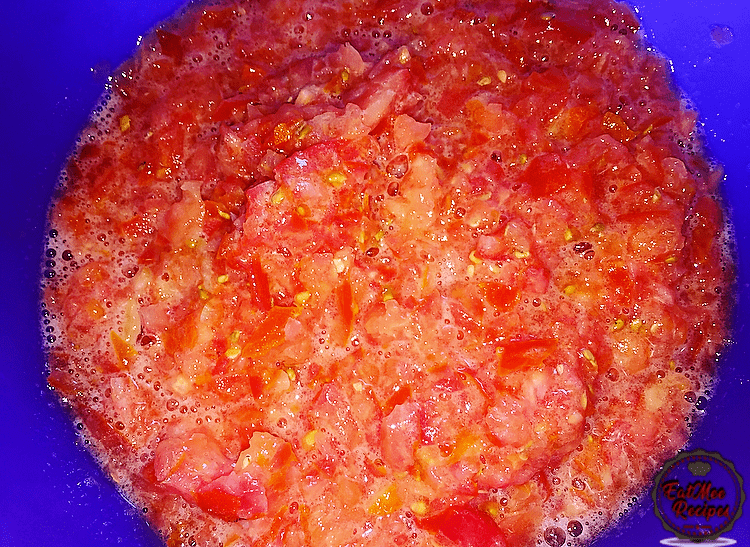 Place the tomatoes with the skin into a blender & pulse for a few seconds until the tomatoes are finer but not too runny, as the image below. Heat 2 tablespoons of vegetable oil in a pan. 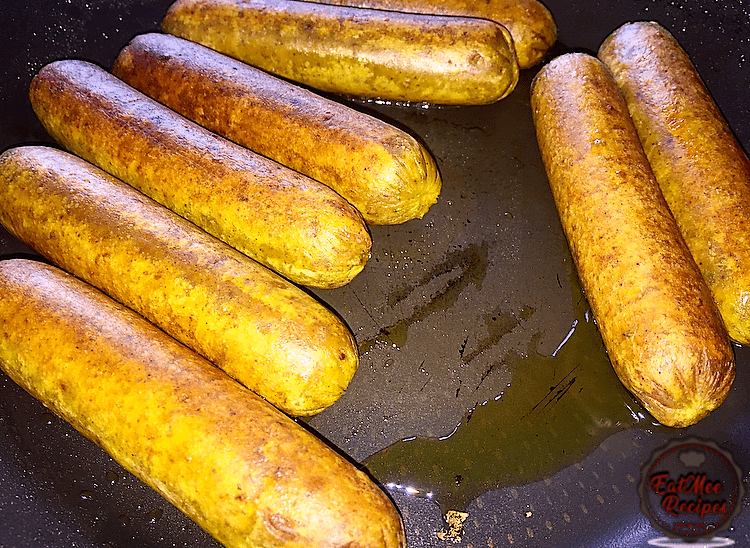 Once the oil has heated, add in the soya sausages. They should be nice & browned. 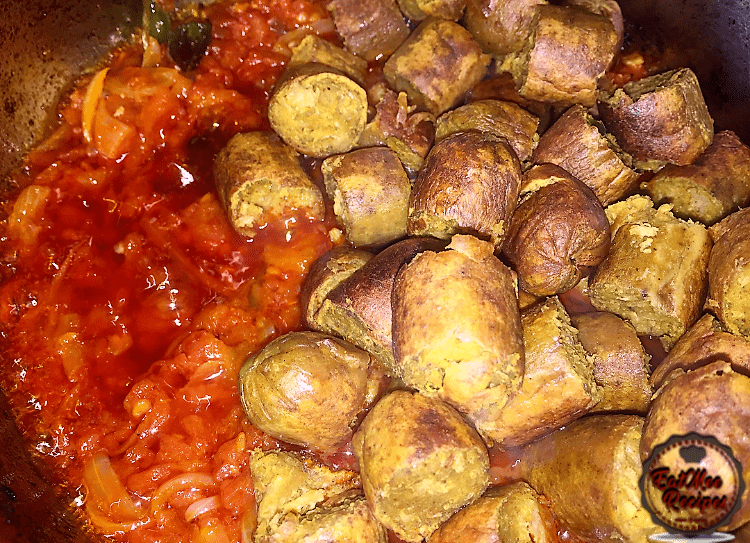 Once the sausages are cooked, chop them into pieces & set them aside. 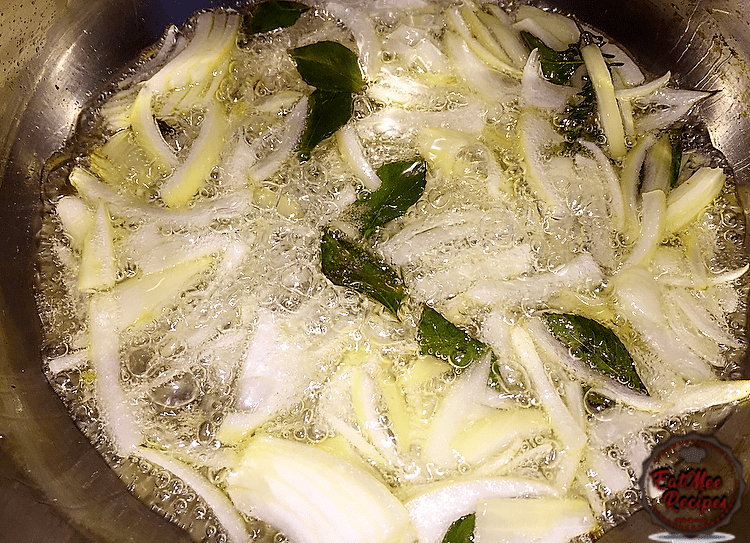 Heat the remaining 2 tablespoons of vegetable oil in a medium sized pot. 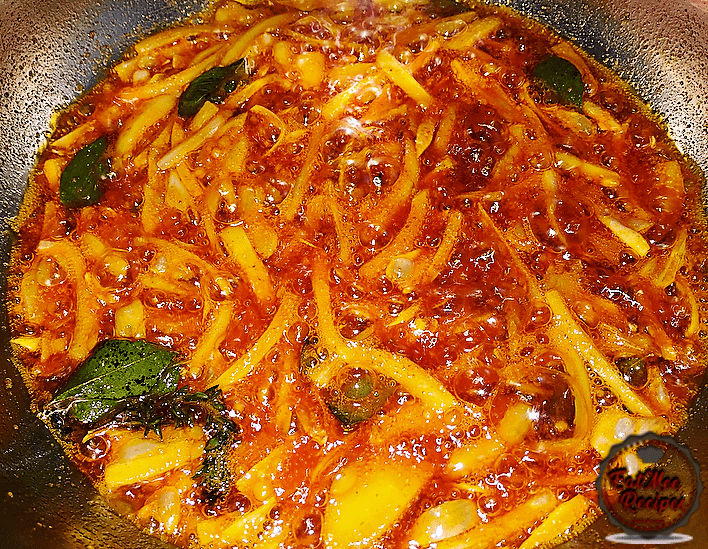 Add in the onions, curry leaves & thyme. 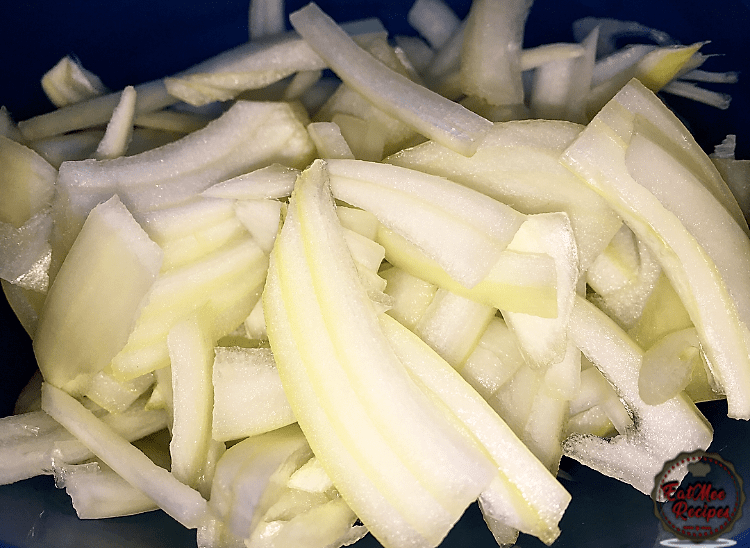 Mix well & simmer until the onions are translucent. 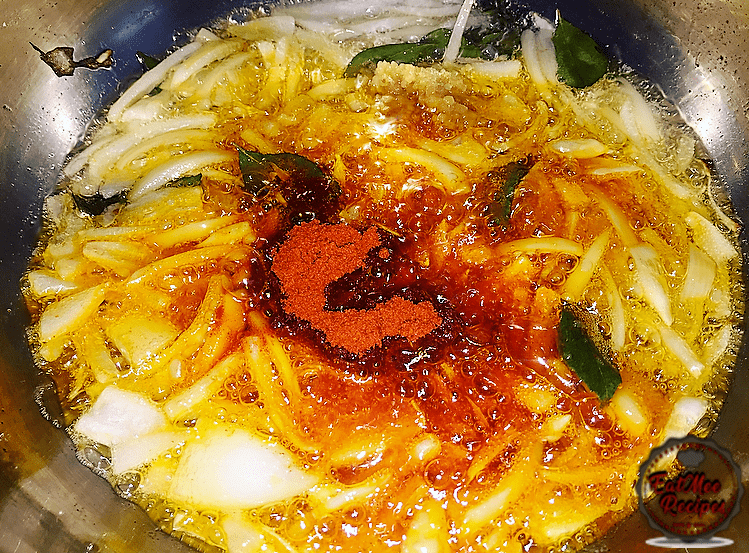 Add in the chilli powder & ginger & garlic paste. 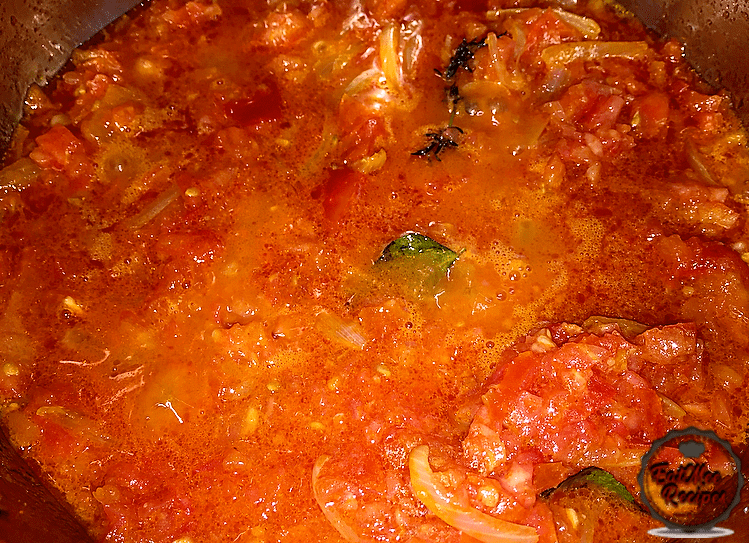 Thereafter, add in the grated or blended tomatoes. Add in a little boiling water & mix well. Add in the green chillies & stir. 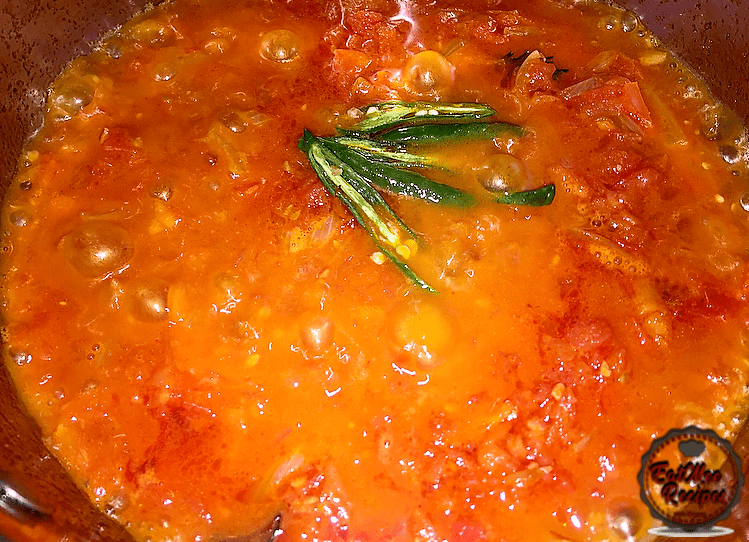 Simmer for about 15-20 minutes until the oil surfaces & the tomatoes are thoroughly cooked. 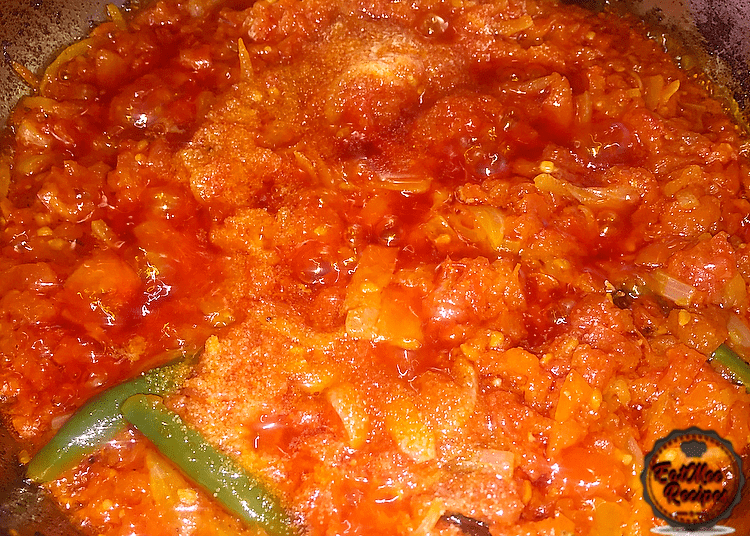 When the tomatoes have cooked, add in the sugar & salt to taste. Stir. Next, add in the sliced sausages. 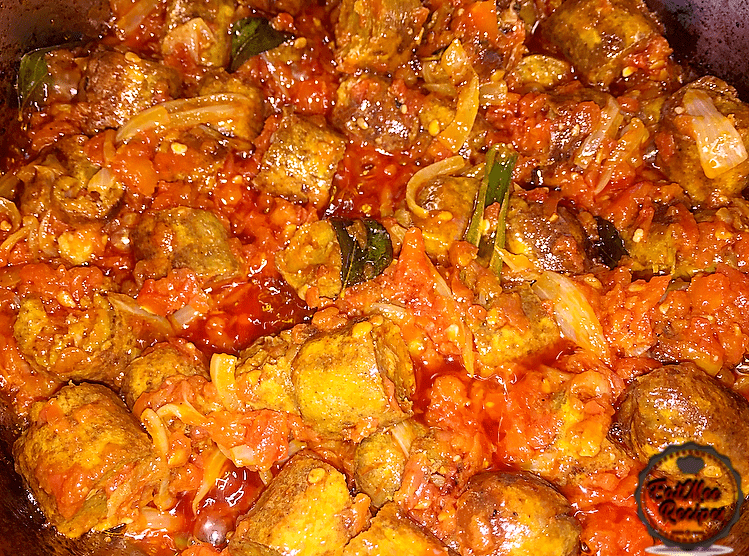 Mix & allow the sausages to absorb the flavours for 5 minutes. Garnish with fresh coriander (dhania). 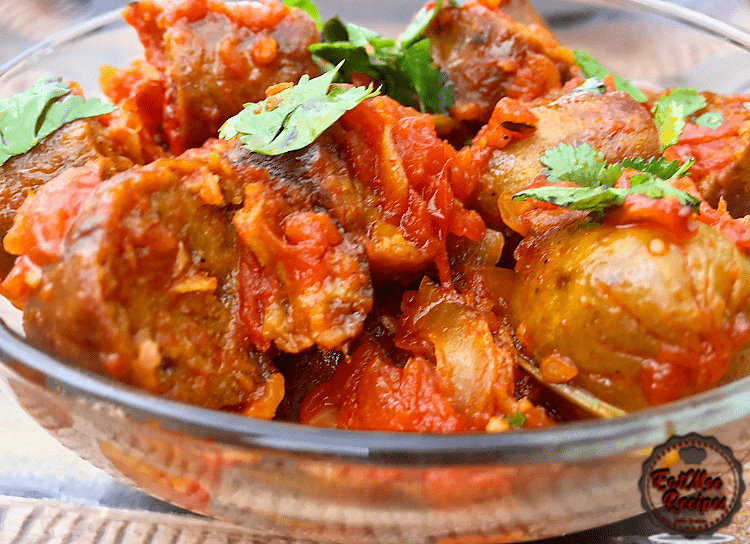 Serve this Soya Sausage Chutney hot with rice, bread or roti.